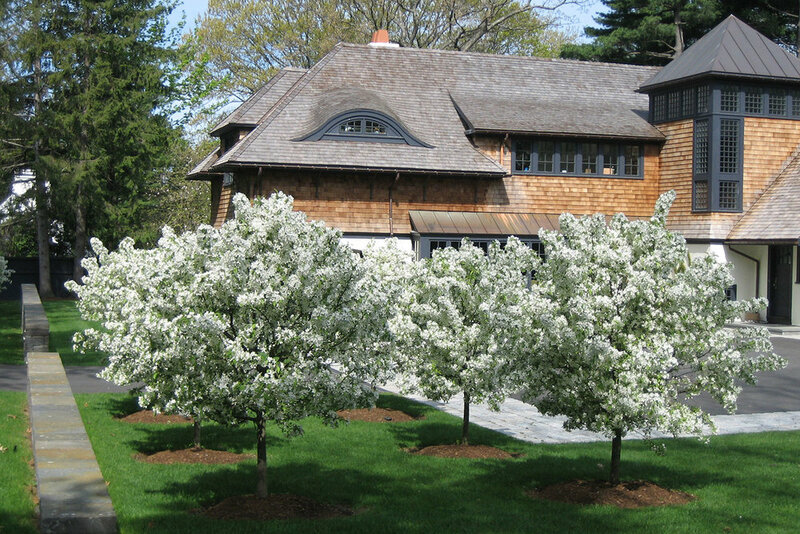 Located in a wooded neighborhood in Newton, this landscape designed for a young family reflects their creative and active spirit while providing a strong relationship to the architecture of their new Arts and Crafts style home. The design incorporates the client's strong desire for large open areas for family play with a cohesive site plan that includes distinct garden rooms for relaxing and entertaining. 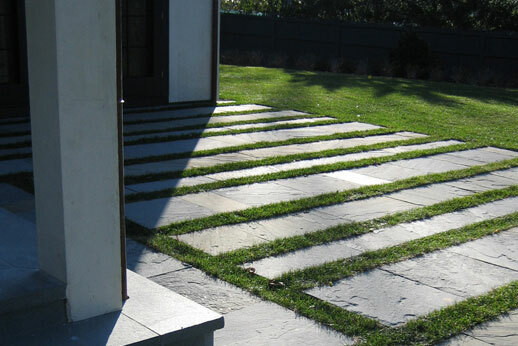 Traditional materials of the New England landscape are applied with clean modern lines. 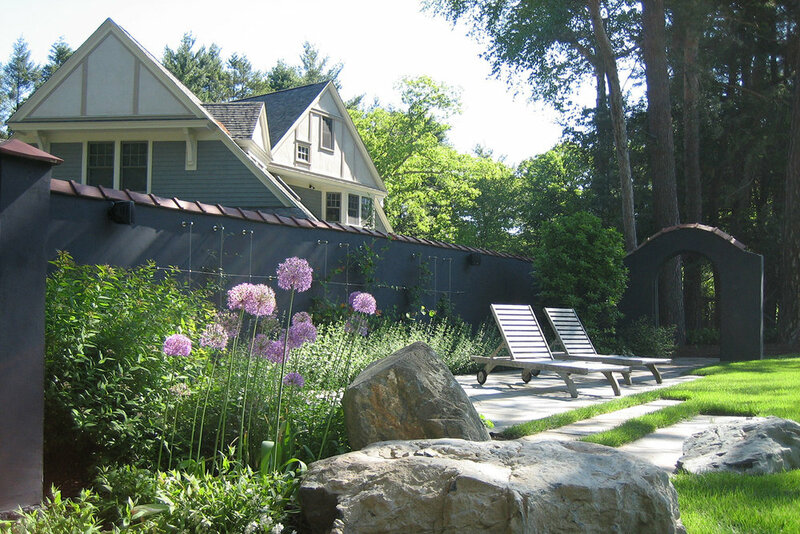 An existing historic site wall was refurbished to function as an enclosure to a new outdoor room. Preserved stands of pine trees enhance the character of the site and provide a strong connection to the surrounding neighborhood.